MLS champion Atlanta United re-signed captain Michael Parkhurst to a new contract on Saturday. 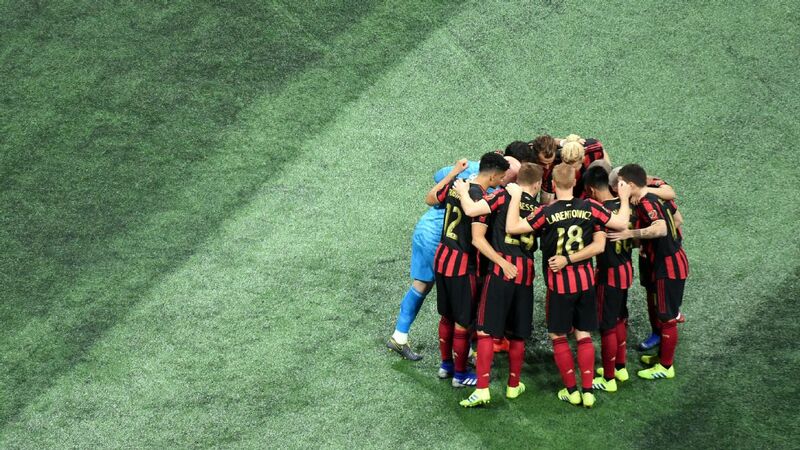 Parkhurst, who started all but two games for Atlanta this season, had become a free agent after leading the Five Stripes to MLS Cup glory in the club's second season of existence. The new contract is not much of a surprise; Atlanta had said it was already working on a new deal with Parkhurst when it declined his 2019 option earlier this month. "Michael has played an important role for our team over the past two seasons and we're pleased to have re-signed him," United technical director Carlos Bocanegra said. "Since joining the club, he has served as an excellent captain and his experience and leadership is invaluable for our group." Parkhurst, who turns 35 in January, finished third in the voting for MLS defender of the year after finishing fourth in the league with 154 clearances and third in passing accuracy with a minimum of 1,000 attempts with 87.7 percent. Terms of the deal were not disclosed. Parkhurst made $340,008 last year, according to data provided by the MLS Players Association. The most Parkhurst can make in 2019 under the collective bargaining agreement is $391,009 -- a 15 percent raise -- unless MLS agrees he "significantly and materially outperformed his expired contract."